This is a toilet installation in one of the service rooms to the north of the House of Ahiel in the City of David in Jerusalem. The installation was set into a thick plaster floor over a deep cess pit. Unsurprisingly, the excavations of the cesspit turned up faecal remains, as well as human parasite eggs and other organic matter, including fish bones. 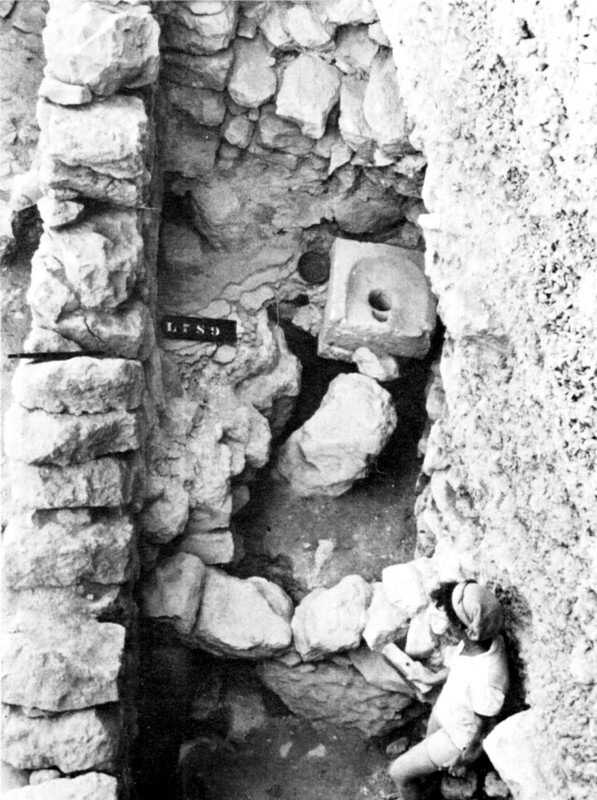 The presence of a stone toilet seat and cess pit shows a significant level of sophistication in the hygiene practices within the city, or at least in parts of it, while the remains from the cess pit shed light on the diet of the ancient inhabitants. The parasite eggs may reflect the difficulties brought upon the city by the prolonged siege of the Babylonian army in 588–586 BCE, while the fish bones suggest commercial activities between the city and traders operating more widely afield.